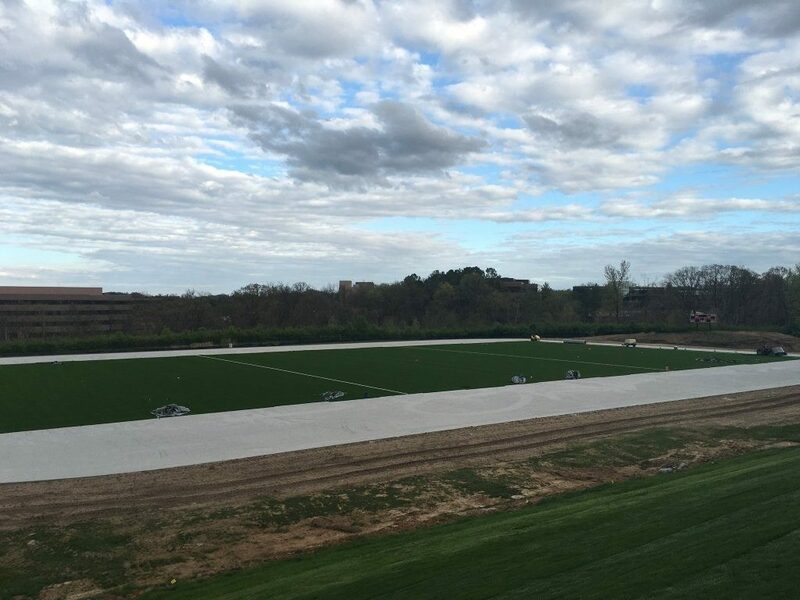 Maryville University recently hired Midwest Synthetic Turf Professionals to construct multiple sports fields on the main campus located in St. Louis, MO. The first field to be constructed was the shared soccer and lacrosse field. Crews from Byrne and Jones Construction prepared the 109,000 sq. ft. drainage base prior to the turf arriving on site. 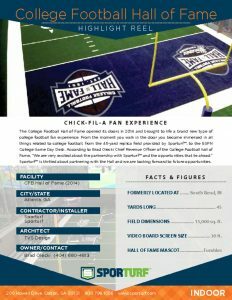 Once complete, Sporturf dealer Midwest Synthetic Turf Professionals took charge and installed PowerHouse along with the factory fabricated logos. 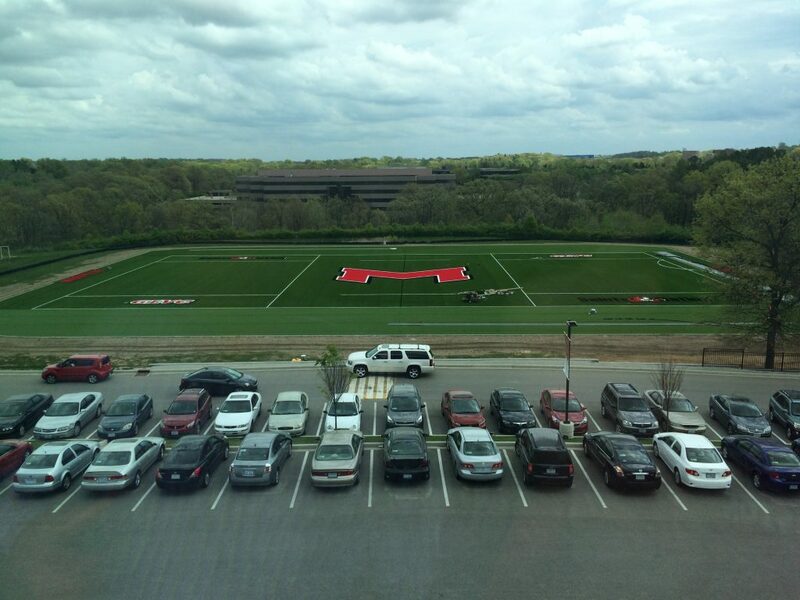 Maryville University chose to dress the field up with 7 logos, including an impressive 62’ x 78’ “M” at mid field. This is the largest logo in Sporturf history! With the soccer and lacrosse field finishing up almost a full month ahead of schedule, construction is already underway on the next location. Later this summer, Sporturf will ship the baseball field which is equally as dressed up. Maryville University certainly knows how to make a splash and we’re proud to have them as a part of the Sporturf Team!